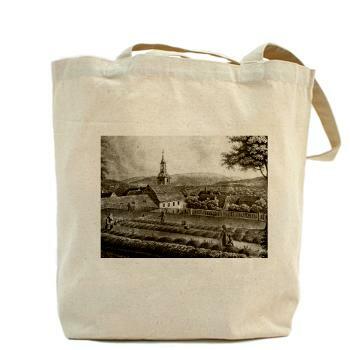 Once upon a time there was a school not far from the Black Forest . . . 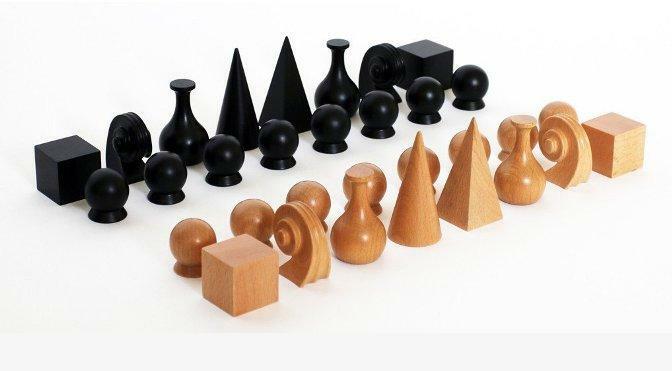 Designed in 1923 by Josef Hartwig, these chessmen have characteristically reduced forms which are symbols based purely on the function and form of the maneuver of each piece. Cubes, cylinders and spheres lead you move by move to checkmate. 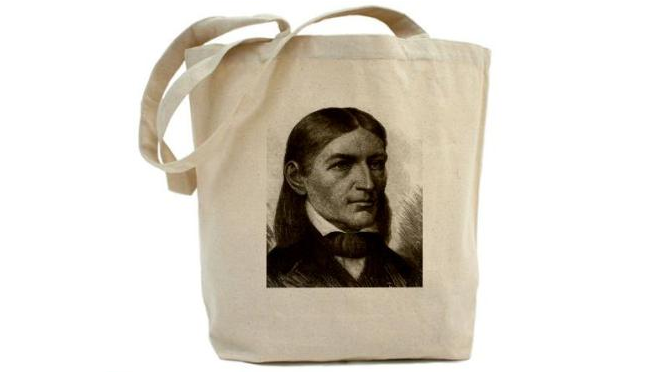 For over 60 years the Naef brand of Switzerland has been synonymous with quality, safety, and customer loyalty. 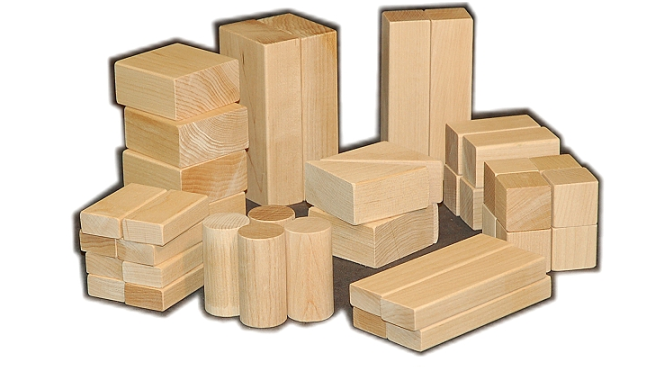 Gropius blocks – never the same twice. 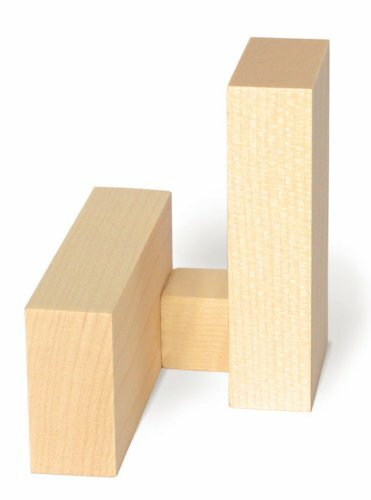 The unique form of the block, repeated 12 times in the set, allows for endless combinations and constructions. Bauhaus style still emanates vitality. As a school that strove to combine applied art with both the fine arts and technology, the Bauhaus movement has outlasted other trends in architecture and design. 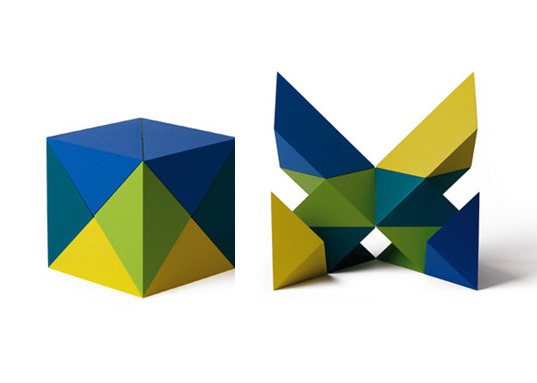 PYROM designed by Fred Voss, lets you experience the fascinating beauty of geometry and design, all while playing. Countless shapes, structures and designs await the creative child. 40 building blocks in red, black and unstained colors. The game’s base has four square buidling panels in a square frame. 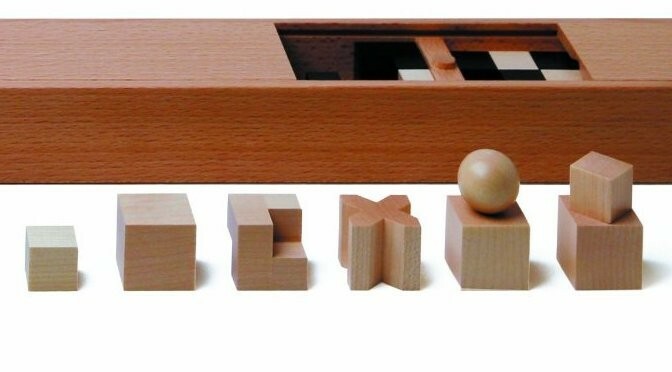 On this base, you lay, shape and build endless variations with the beautifully finished blocks. 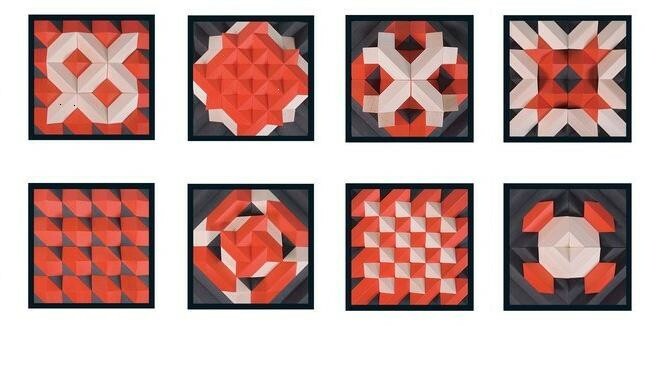 The blocks themselves are based on rhombic dodecahedrons. Build flat or go vertical! 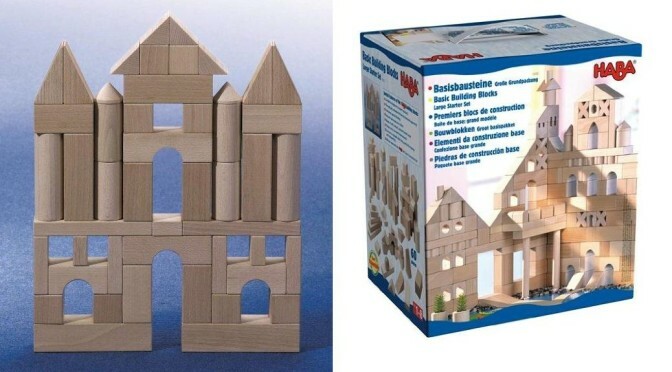 Ponte is both a modern design piece and construction toy designed by Fred Voss. Each of the eight high quality modular pieces receives a precision lacquered finish unlike any other in the toy and game industry. For over 60 years the ” Naef ” brand of Switzerland has been synonymous with quality, safety, and customer loyalty. Argon designed by Fred Voss in 1968 is a cube divided a into eight blocks. 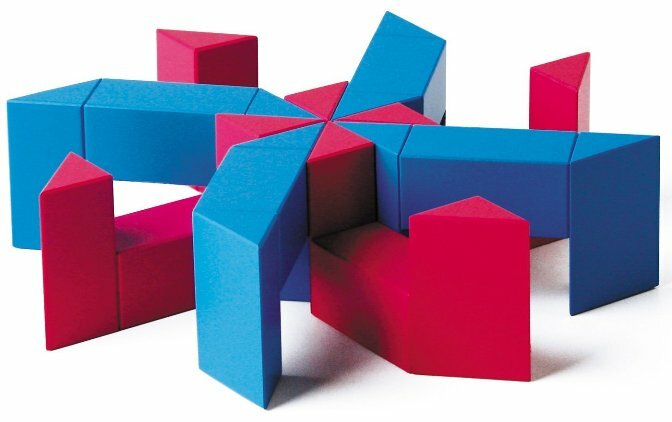 Many variations of constructions can be produced with the disassembled cube. The colorful parts fit on top of and into each other, so that a multitude of compositions are possible. The lifelong friendship of Man Ray with avid chess player and fellow artist Marcel Duchamp led to his chess piece design. Man Ray sought to use pure geometric forms associated historically and figuratively with the pieces they represent King piece represents the Egyptian king’s pyramid. Queen piece represents the medieval queen’s conical headdress. 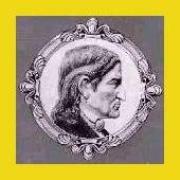 Bishop piece represents a flask for the concocting of healing liqueurs. Knight piece based on a favorite form, the carved scroll found on a violin. 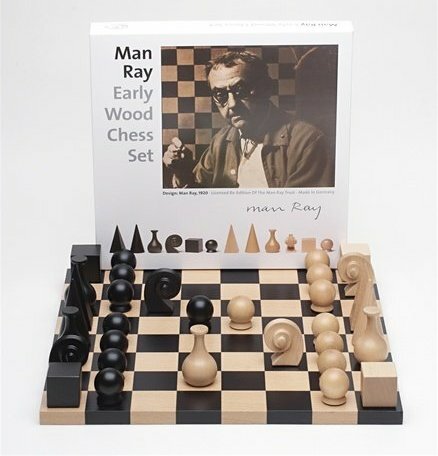 Chess pieces and Chess board made of solid Beech wood in Germany under license with the Man Ray Trust. 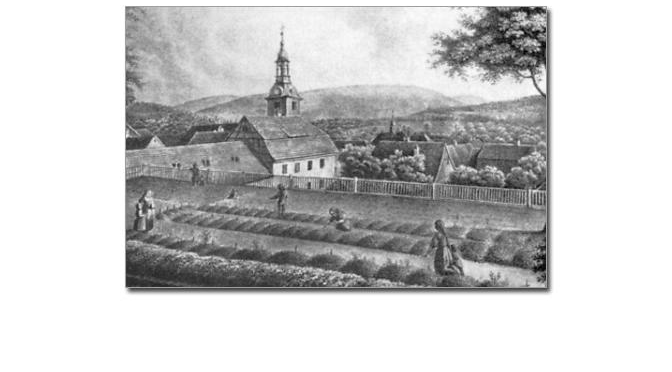 The first Kindergarten at Bad Blankenburg in the Schwarzatal. Four ceramic mugs to the set, each has a slightly-pinched base so they stack perfectly together (just place one on top of the other for convenient storage). 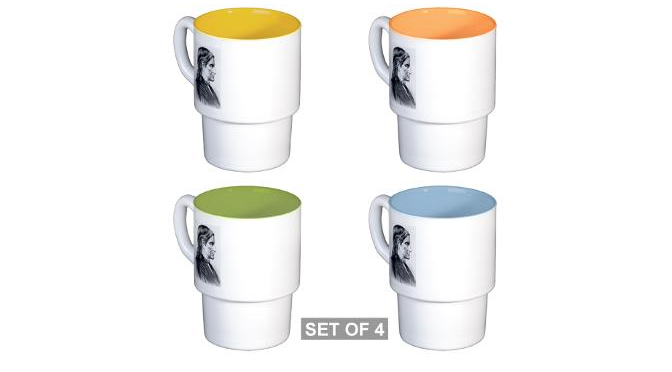 With an outside that’s retro-white, the set features four mugs (each one is printed with the same design). 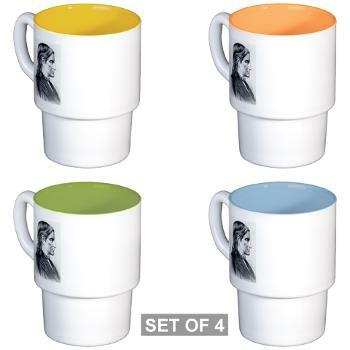 On the inside, you’ll find that each mug has a different eye-catching color: Avocado, Sunflower, Sky blue, and Papaya.